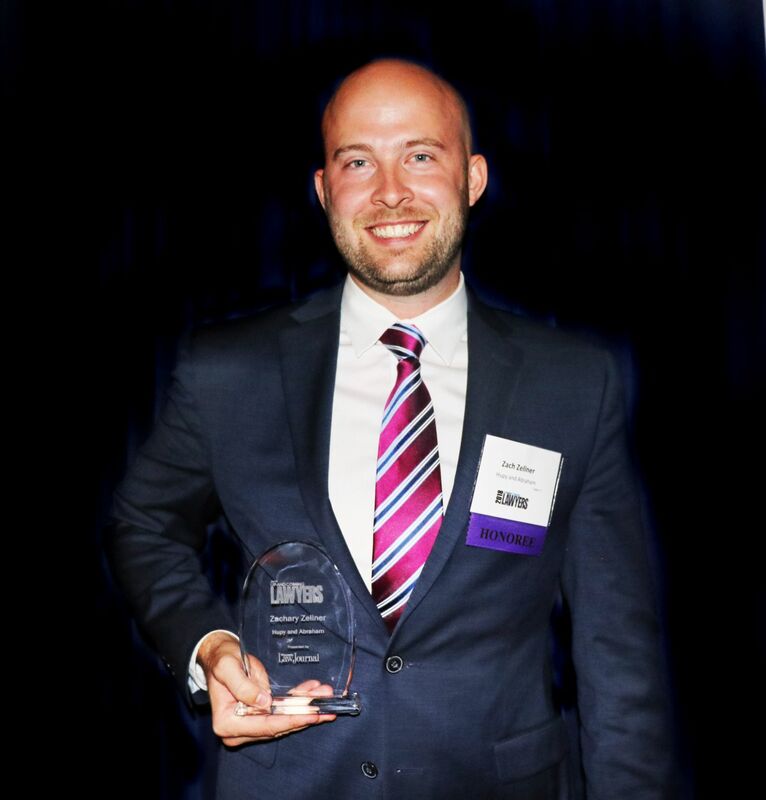 Attorney Zachary Zellner Named a 2018 Up and Coming Lawyer | Hupy and Abraham, S.C.
Hupy and Abraham, S.C. Attorney Zachary Zellner was honored by the Wisconsin Law Journal at the 2018 “Up and Coming Lawyers” event. On September 13, 2018, members of the Wisconsin legal community gathered at Discovery World’s Pilot House in Milwaukee to celebrate the 30 honorees. Each year, the Wisconsin Law Journal recognizes attorneys across the state who have been practicing for eight years or less, shown the potential to impact the legal community and become “rising stars” in the field. After receiving his Bachelor of Arts in political science and public administration from the University of Wisconsin-La Crosse in 2011, Attorney Zellner earned his Juris Doctorate from the University of Wisconsin Law School in 2016. Attorney Zellner was hired by Hupy and Abraham in March 2017 as a law clerk and was quickly promoted to an Associate Attorney only a few months later in November 2017. Attorney Zellner was selected due to his strong work ethic, passion for his clients and desire to help his clients in whatever ways he can. Shareholder Attorney Brandon Derry gave a firm endorsement of his belief that Attorney Zellner will succeed in the legal field and will continue to improve as he gains more experience. Hupy and Abraham would like to congratulate Attorney Zellner for receiving this award. He is clearly someone to watch, and is likely to achieve great things in the future.